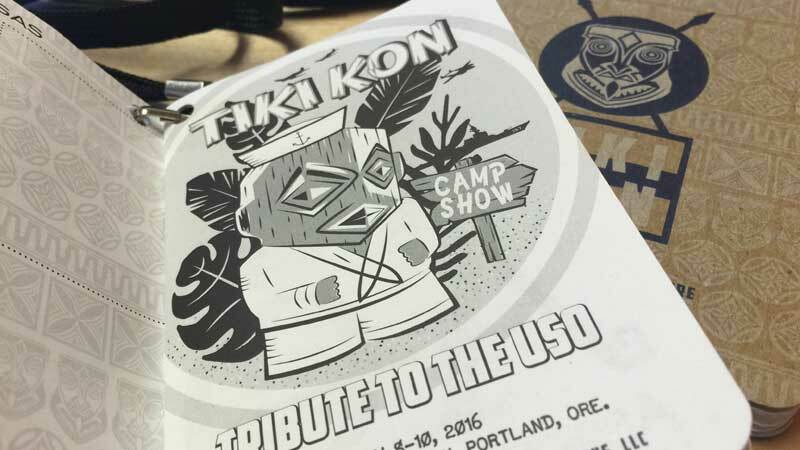 As part of the resurgence of Tiki culture in the United States, Tiki Kon is an exciting weekend that entertains guests from the Pacific Northwest and across North America. 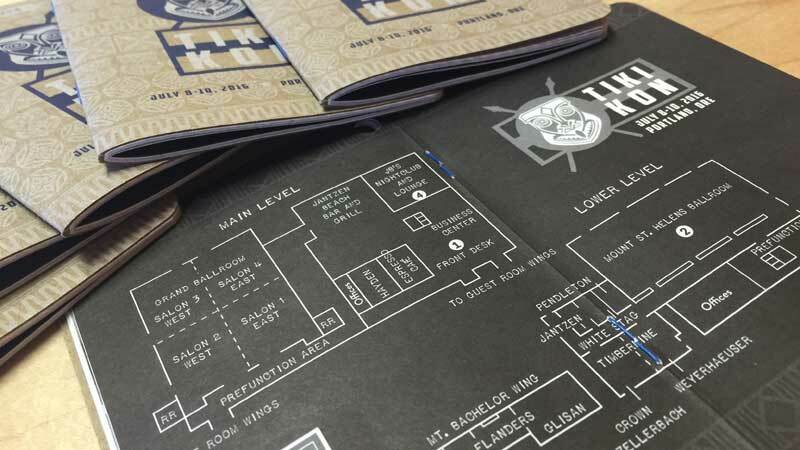 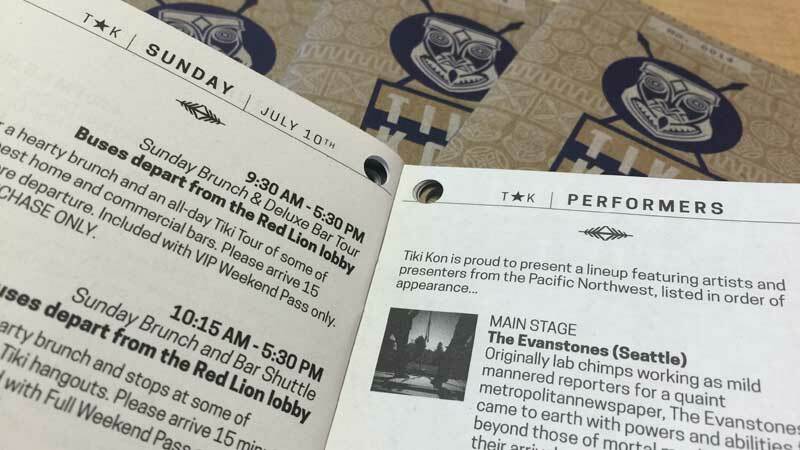 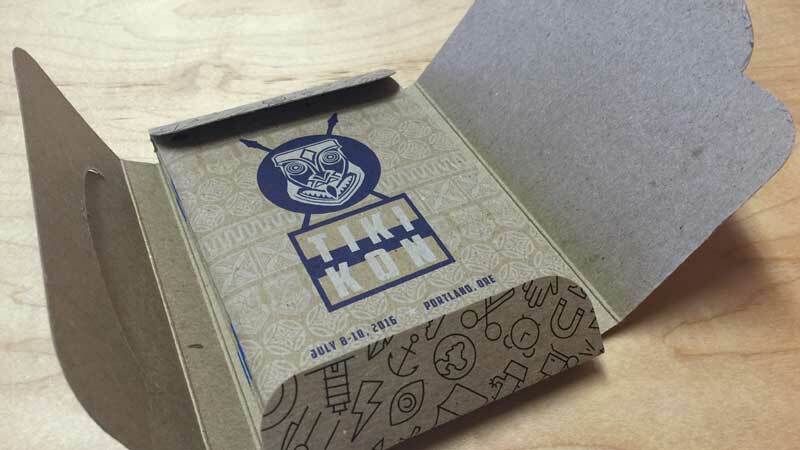 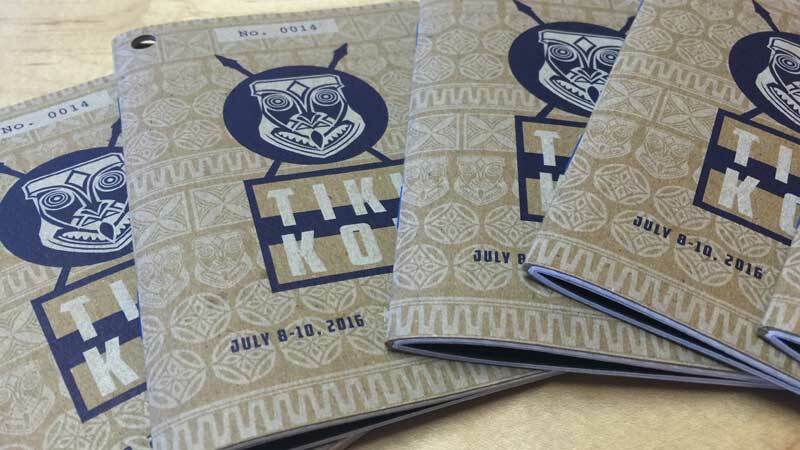 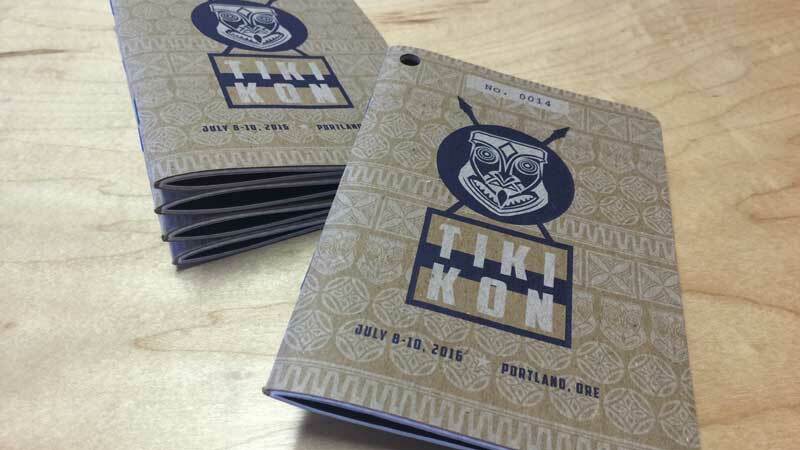 Tiki Kon needed a program solution that offered all the event details, map, schedules, and sponsors, as well as serve as event ID and pass. 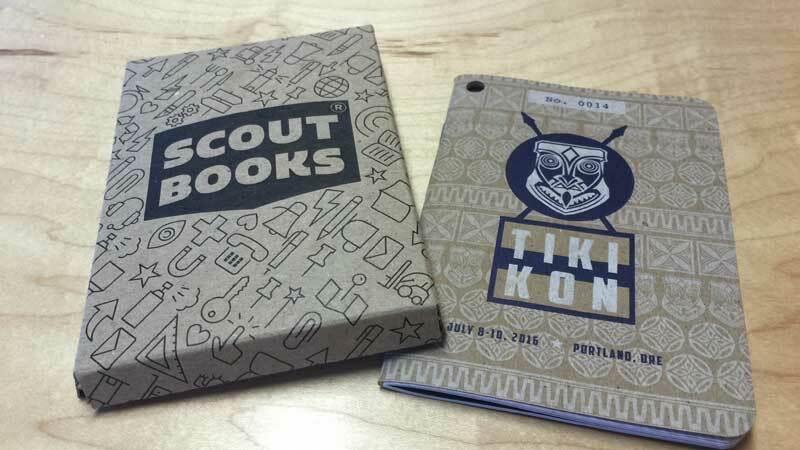 The small Scout Book fit the size requirement. 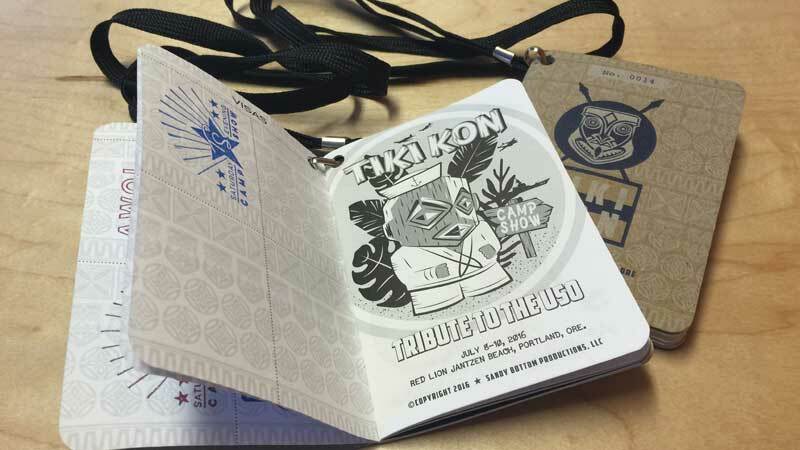 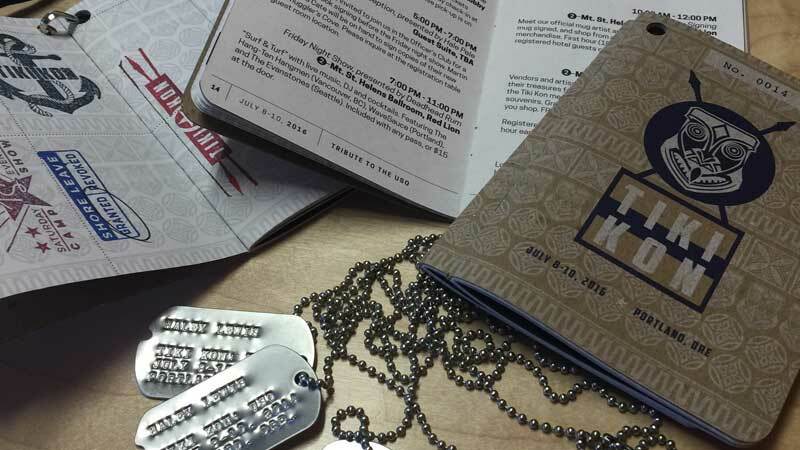 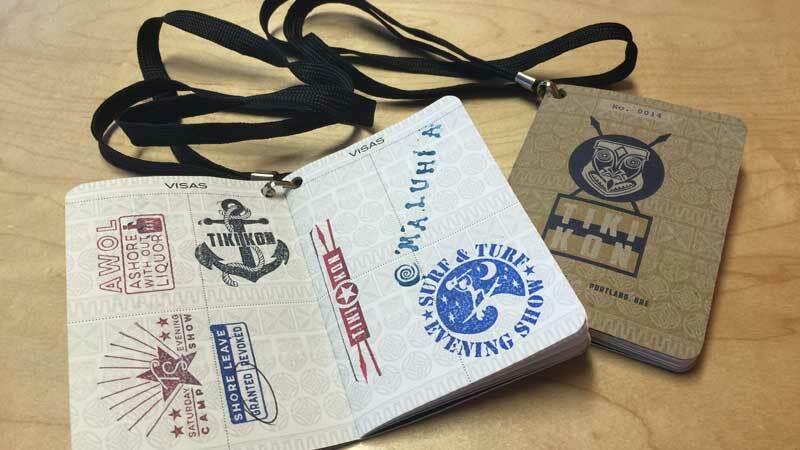 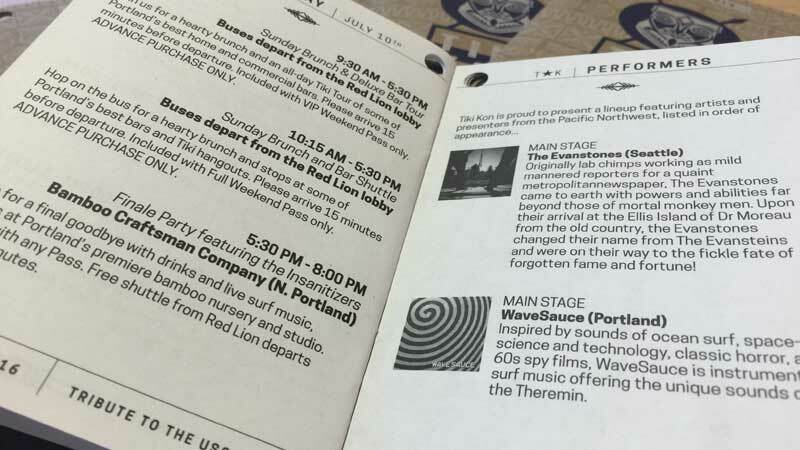 We created the program book to attach to a lanyard and could be easily worn by attendees all weekend long.